张加琼(1984-), 女(藏族), 四川省小金县人, 博士, 副研究员, 主要从事土壤侵蚀研究。E-mail:jqzhang@nwsuaf.edu.cn. 焦菊英(1965-), 女(汉族), 陕西省宝鸡市人, 博士, 研究员, 主要从事流域侵蚀产沙、土壤侵蚀与植被关系及水土保持效益评价。E-mail:jyjiao@ms.iswc.ac.cn. 第一作者：张加琼(1984-), 女(藏族), 四川省小金县人, 博士, 副研究员, 主要从事土壤侵蚀研究。E-mail:jqzhang@nwsuaf.edu.cn. 通讯作者：焦菊英(1965-), 女(汉族), 陕西省宝鸡市人, 博士, 研究员, 主要从事流域侵蚀产沙、土壤侵蚀与植被关系及水土保持效益评价。E-mail:jyjiao@ms.iswc.ac.cn. Abstract: [Objective] This study investigated soil erosion characteristics in the northern mountain area of Thailand (Kingdom of Thailand) in order to provide evidence for soil loss prediction and control in the warm-wet area of the pan-third pole region. 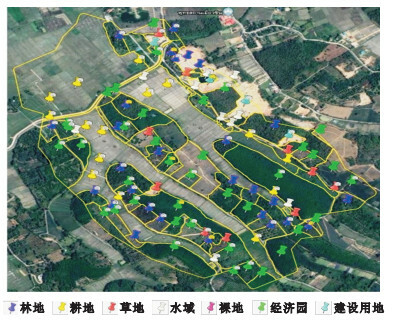 [Methods] Field survey was conducted in Chiang Rai Province from November 22 to 29 in 2018, and 18 sampling survey units/catchments were selected to investigate the types and characteristics of soil erosion, land use types and distribution, vegetation types and coverage, crop types, cropland conditions, and soil and water conservation measures. [Results] Soil erosion mainly occurred on roads, newly cultivated sloping croplands, the side slopes of cropland and construction sites, and even in some forests. Erosion gullies were found on most of the unhardened soil roads, and even on parts of the hardening roads. Sloping croplands, especially newly cultivated pineapple fields showed severe erosion, gullies and rills developed both in field and on its side slopes. Gully erosion in forest mainly occurred under pure forest with simple structure and little ground cover. Soil erosion rate ranged from 480.9 to 3 565.3 t/(km2·a) with an average value of 1 767.9 t/(km2·a). The slope length and gradient were the main factors affecting soil erosion of investigated units/catchments. [Conclusion] Severe soil erosion had significantly affected ecological security and food security in the northern mountain area of Thailand, which were mainly attributed to the irrational human activities such as deforest and reclamation, and the complicated terrain in this region. However, soil erosion control was limited by observation data shortage. Thus, there is an urgent need for the local government to enhance the understanding of the mechanism and process of soil erosion, to develop effective soil water conservation measures, to improve soil fertilization and control contaminants in soil, to ensure the sustainable and healthy agriculture in Thailand. Vongkasem W, Klakhaeng K, Srakaew K, et al. Farmer participatory extension (FPE) methodologies used in the cassava project in Thailand [C]//Proceedings of the seventh regional workshop held in Bangkok, Thailand, Oct 28-Nov 1, 2002. Centro International de Agricultural Tropical (CIAT), Cassava Office for Asia, Bangkok. 2007, 344-351. Bricquet J P, Janeau J L, Boonsaner A, et al. Catchment Approach to Combating Soil Erosion in Thailand [R]. International Water Management Institute Books Reports, 2003. 王斌科. 遥感技术在土壤侵蚀定量评价中的应用:以泰国巴萨克流域为例[J]. 中国科学院西北水土保持研究所集刊, 1988, 7: 103-111. Sukho S. Soil erosion and sediment yield in tropical mountainous watershed of Northwest Thailand: The spatial risk assessments under land use and rainfall changes [D]. University of Birmingham, Birmingham, UK, 2014. Janeau J L, Maglinao A R, Lorenr C, et al. The off-site effect of soil erosion: A case study of the Mae Thang Reservoir in Northern Thailand [R]//Amado R M, Valentin C(eds.) International Water Management Institute Books Reports. 2003. Rottana L, Chakapan S, Kenichiro H, et al. Soil Erosion and Heavy Metal Contamination in the Middle Part of the Songkhla Lake Coastal Area, Southern Thailand [M]//Subramanian V. Coastal Environments: Focus on Asian Coastal Regions, Capital Publishing Company, 2012, 106-129. Kobayashi H. Current approach to soil and water conservation for upland agriculture in Thailand[J]. Japan Agricultural Research Quarterly, 1996, 30(1): 43-48. Liu Baoyuan, Zhang Keli, Xie Yun. A empirical soil loss equation [C]//Proceedings of 12th ISCO. Tsinghua press: Beijing, 2002: 143-149. 祝赢, 章文波, 刘素红, 等. 第一次全国水利普查侵蚀模数的批量计算方法:基于CSLE和GIS的土壤水蚀模数计算器设计与应用[J]. 水土保持通报, 2012, 32(5): 291-295. Douglas I. The impact of land-use changes, especially logging, shifting cultivation, mining, and urbanization on sediment yields in humid tropical Southeast Asia: A review with special reference to Borneo [R]. IAHS Publication, 1996, 236: 463-471. Gupta A. Erosion and sediment yield in Southeast Asia: A regional perspective[R]. IAHS Publication, 1996, 236: 215-222. 波哥皮特, 朱耒东. 利用陆地卫星影象调查泰国土壤侵蝕[J]. 林业调查规划, 1983(3): 4-44.